There is no finer author today in the American South than James Lee Burke. He has done for the bayous of Louisiana what Faulkner did for backwoods Mississippi. New Iberia is his Yoknapatawpha County and, like Faulkner, he builds his stories on history, class, race and memory. This is not the "moonlight and magnolia" south of Gone With the Wind, but a place of poor people who worked hard, lived well and built a way of life that sustained a vibrant culture. A way of life that is now evaporating thanks to statewide corruption and enslavement to a petrochemical industry that is destroying Louisiana in the name of creating minimum-wage jobs. 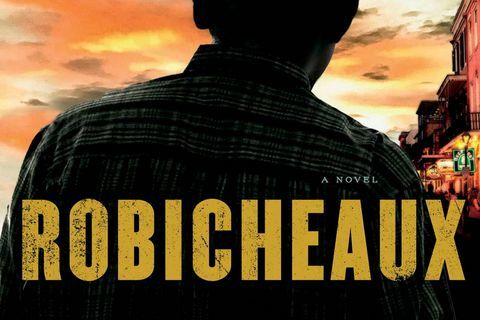 Robicheaux is the final, or one of the final, chapters in Burke's wonderful series. He's over 80 and, while we may hope for more, reality beckons. Appropriately, while this book is a murder mystery, tracing the deaths of eight women by a serial killer, it is also a meditation on the Catholic tradition of the Four Last Things: heaven, hell, death and judgment are at hand and every person is called to face them, confess sin and seek redemption through the grace of God. Redemption has always been a large part of the Robicheaux novels and it's appropriate that Burke use this one to demonstrate in his lush prose how salvation comes in many guises, and false salvation is always at hand. It is our free will to choose one or the other. A corrupt cop is saved on his deathbed while a psychopathic hitman has a moral compass that's lacking in the golden candidate for senator who uses a demagogue's language to gull the electorate. It's all here, folks; read it and weep for a world of courtesy, honour and nobility that is passing, paved over into a Walmart superstore.